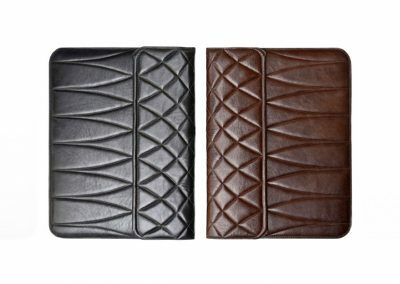 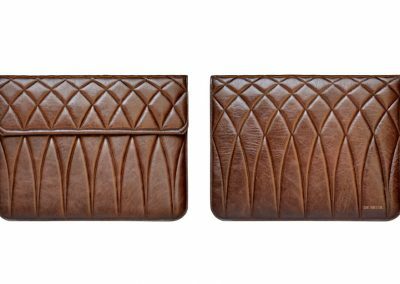 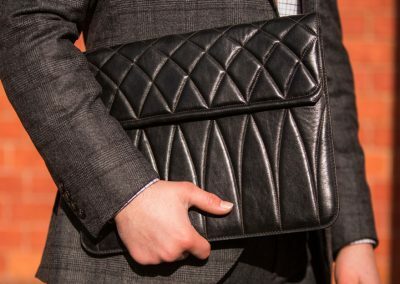 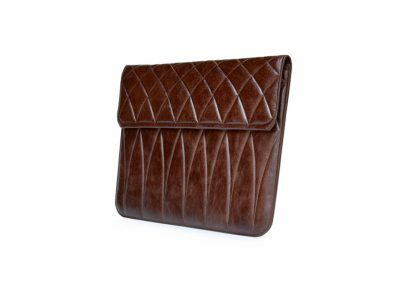 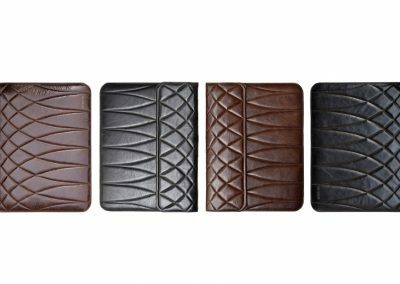 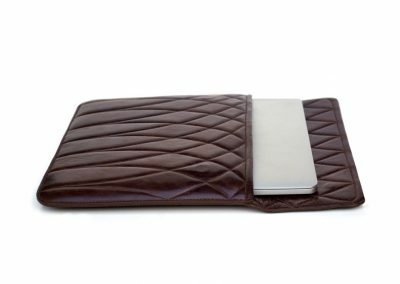 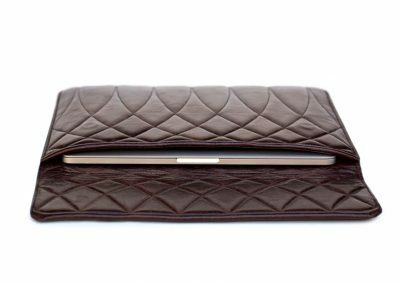 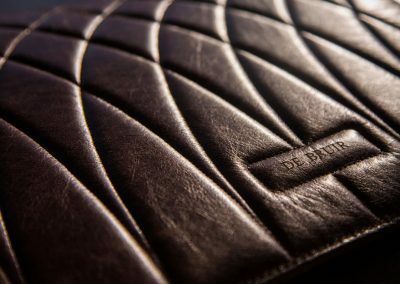 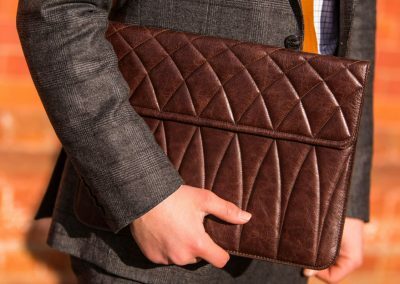 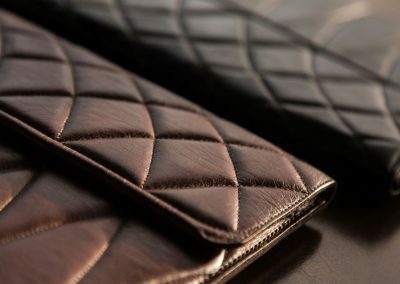 Handcrafted in soft luxurious leather, the beautiful quilted pattern of the Racing Collection is demonstrated to perfect affect in the Folio. 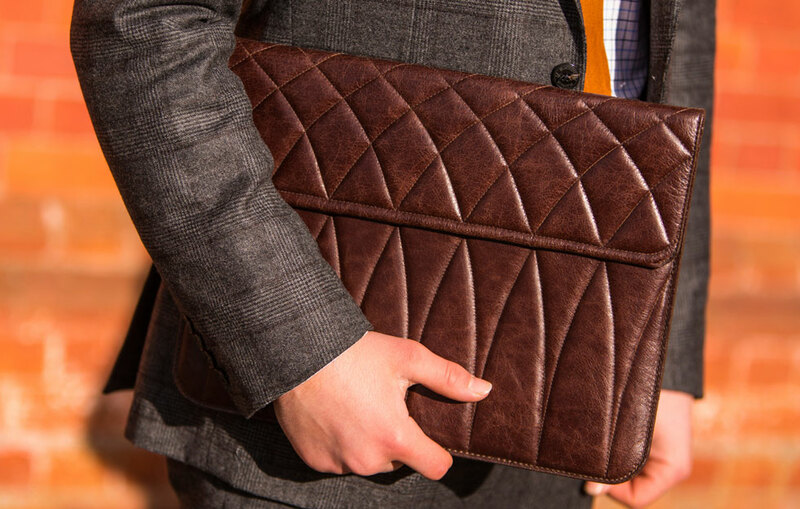 This is the ideal business carrier for those all-important documents or even a MacBook. 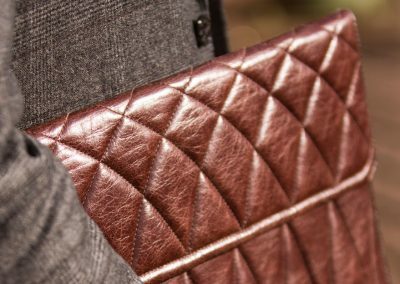 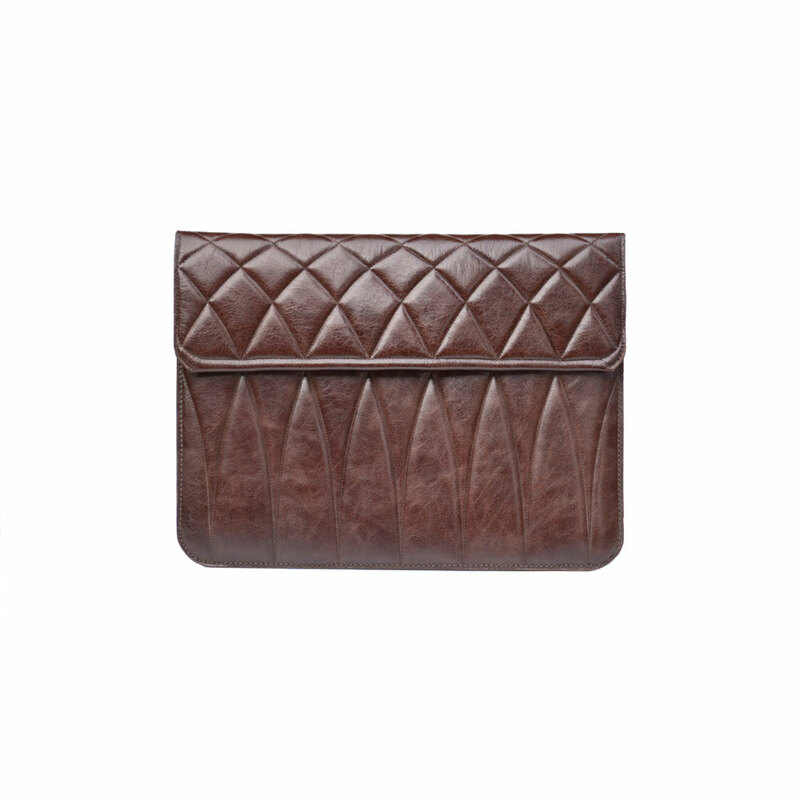 The Folio features an elegant wrap over front flap. 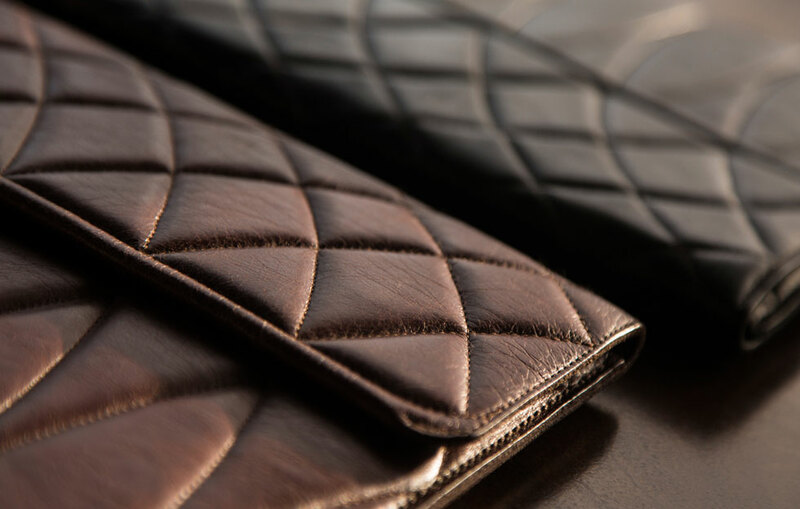 On closing the flap, hidden magnets engage and crisply snap together. 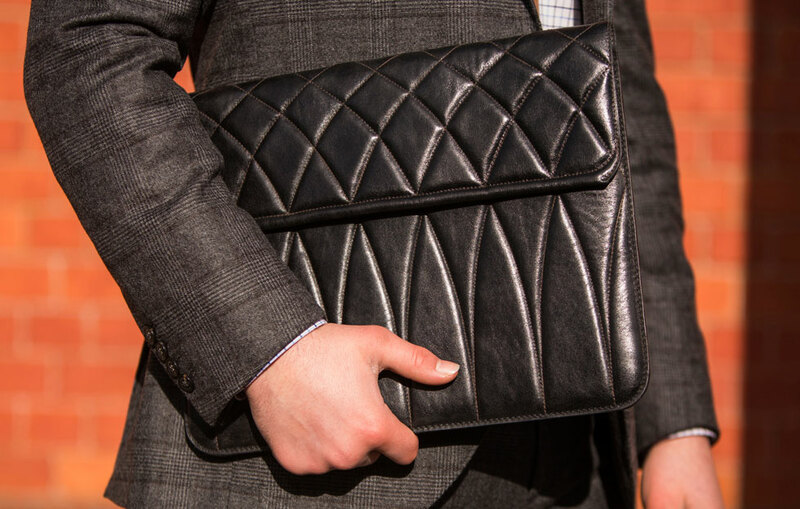 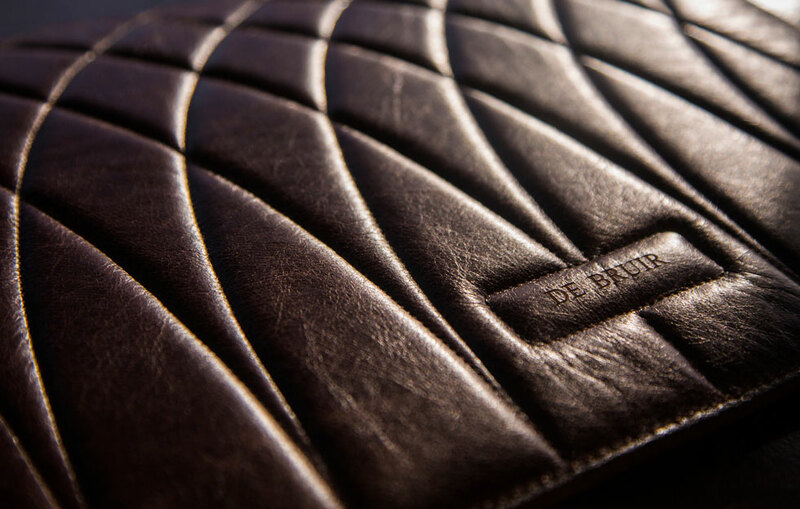 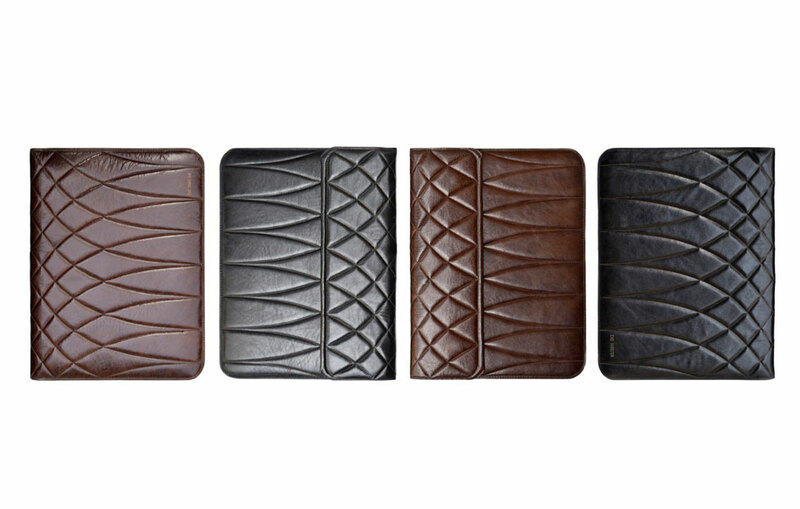 The Racing Folio features the signature DE BRUIR pattern. 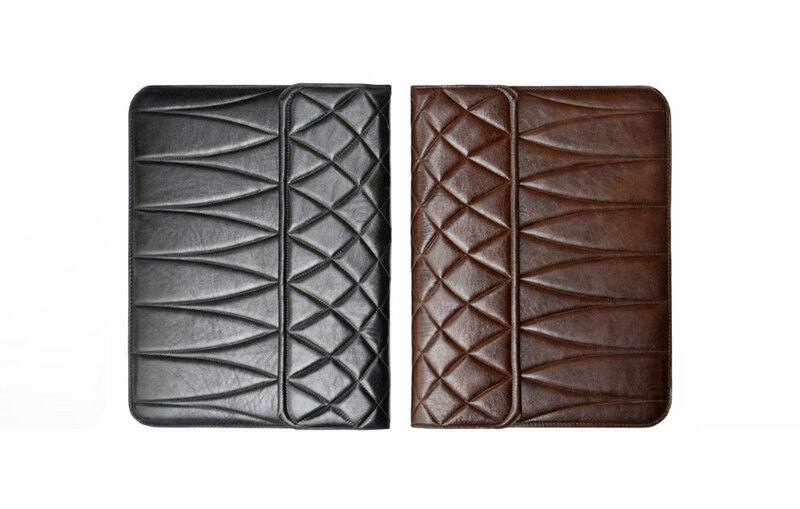 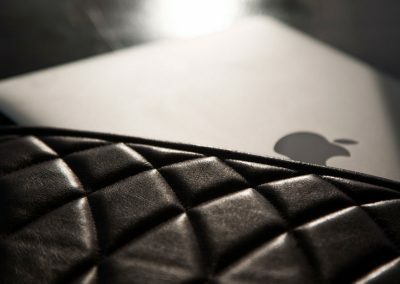 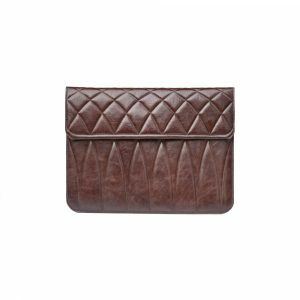 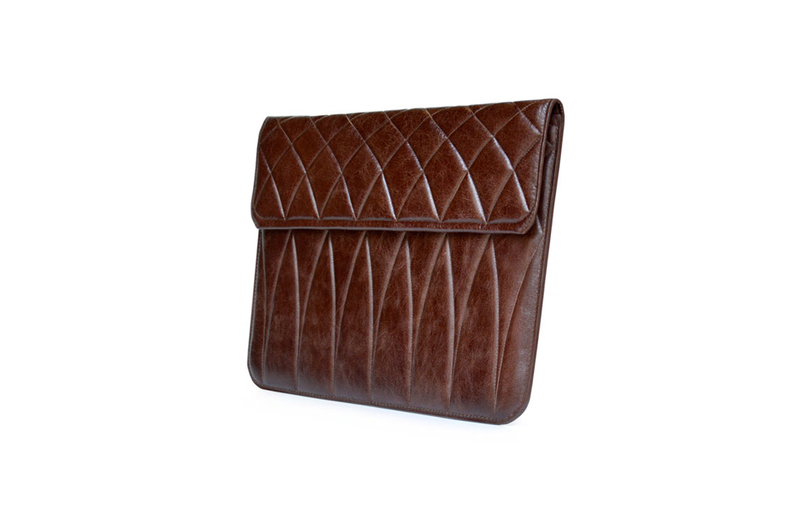 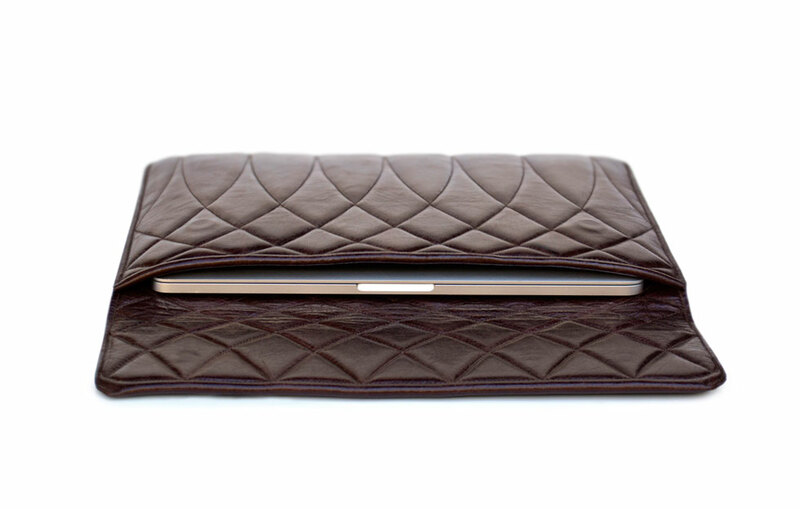 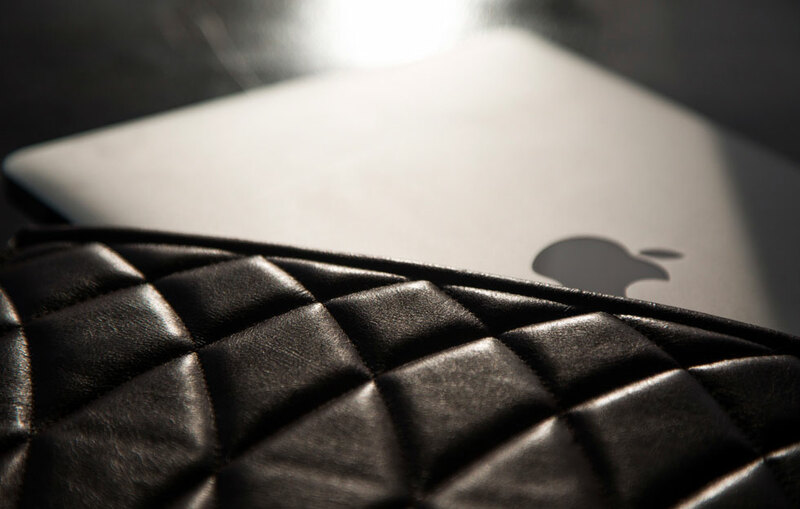 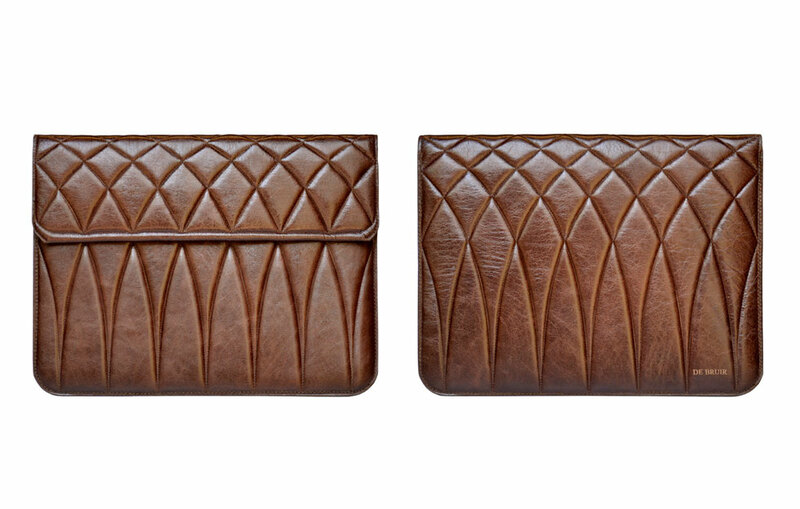 It is made in a soft, luxurious leather over a firm padding. 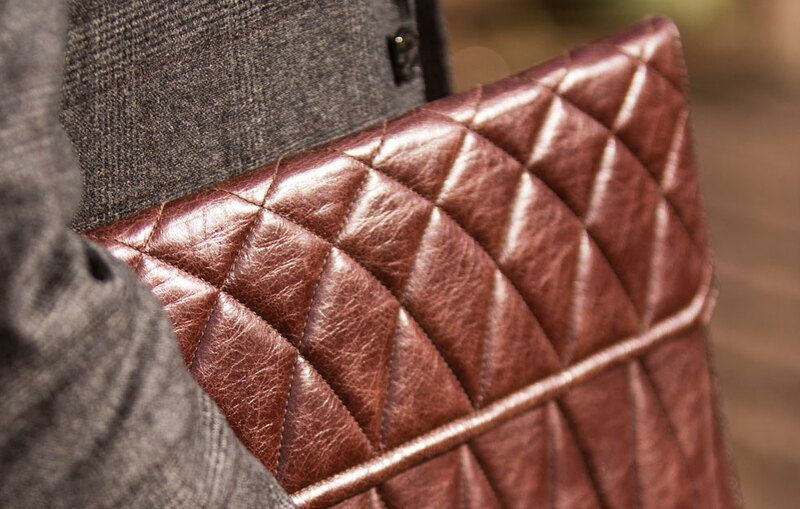 As the flap closes, hidden magnets engage and crisply snap together. Suits a 13″ MacBook or A4 documents.